Roger is a PGA Member, having been elected to membership nearly 20 years ago. He served as a Director of Instruction for more than 10 years. 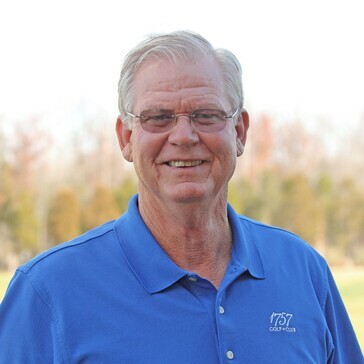 Over his 25-year golf career Roger has worked with thousands of golfers, ranging from beginners to nationally ranked amateurs to seasoned touring professionals. He comes highly recommended by multiple Middle Atlantic PGA Teachers-of-the-Year and major conference college coaches. Roger believes in the use of technology to measure a golfer’s progress. He uses state-of-the-art launch monitors (Trackman, Flight Scope) and K-Vest (3-D swing analysis) to ensure he is properly analyzing all facets of the swing when instructing and fitting players. Roger has enjoyed a very successful playing career, winning both the Maryland State Senior Open and Middle Atlantic PGA Tournament of Champions. Roger still loves to compete against other Middle Atlantic PGA Professionals and believes more victories lie ahead. His successful competitive background serves him well in coaching golfers toward greater heights and lower handicaps!